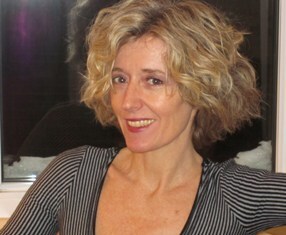 Christine Ross is Professor and James McGill Chair in Contemporary Art History in the Department of Art History and Communication Studies at McGill University. Her areas of research include contemporary media arts; vision and visuality; transformations of spectatorship in contemporary art; participatory media and art; artistic redefinitions of the public sphere; and reconfigurations of time and temporality in recent media art practices. Her books include: The Past is the Present; It’s the Future too: The Temporal Turn in Contemporary Art (Continuum, 2012); The Aesthetics of Disengagement: Contemporary Art and Depression (University of Minnesota Press, 2006); and Images de surface: l’art vidéo reconsidéré (Artextes, 1996). She has coedited The Participatory Condition in the Digital Age (University of Minnesota Press, 2016) with Darin Barney, Gabriella Coleman, Jonathan Sterne and Tamar Tembeck; Conflict[ed] Reporting: War and Photojournalism in the Digital Age [special issue of Photography & Culture, 8 (2), November 2015] with Tamar Tembeck and Theodora Tsentas; and Precarious Visualities: New Perspectives on Identification in Contemporary Art and Visual Culture (McGill-Queen’s University Press, 2008) with Olivier Asselin and Johanne Lamoureux. Since 2005, she has been the principal investigator responsible for the FQRSC-funded MediaTopia team research projects, including: Aesthetics, New Media and the (Re)Configuration of the Public Sphere (2013-2017), Art and New Media: Towards a Hybrid Redefinition of Site (2009-2013) and Augmented Reality in Contemporary Art: Interdisciplinary Practices (2005-2009). Fellow of the Royal Society of Canada (2010-), first laureate of the Artexte Canadian Award for Research in Contemporary Art (2012), recipient of the David Thomson Award for Graduate Supervision and Teaching (2011), recipient of the Prix Recherche de l’Observatoire du cinéma au Québec (2016), Distinguished Visiting Fellow at the Jackman Humanities Institute, University of Toronto (2017), she is the cofounder of the Department of Art History and Communication Studies at McGill University and was the Director of Media@McGill—a hub of interdisciplinary research, scholarship, and public outreach on issues in media, technology and culture], from 2012 to 2017.